This article provides an overview of the comprehensive process in creating a “Project Plan” for an engineering project. 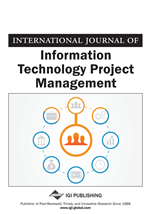 The authors discuss the challenges of project management tasks, tools, and methods used. They also discuss and compare other commonly used project planning practices and techniques. This article includes authors' experiences drawn from their careers and industries that are applicable to projects of this nature. They propose methodical approaches to handle a large, and complex engineering and construction project that takes several years to complete. The project selected is a hypothetical biomass engineering plant considered for this examination. Over the last three decades project management endeavor has become mature. The Project Management Institute (PMI) was established in 1969 to advance project management from the field. On the other hand, academicians, researchers, and professionals have done a significant amount of research work in project management. These research works cover a wide-variety of areas that enriched this discipline and also have been helpful in undertaking large, complex, and challenging projects. For example, recent prominent projects include the Sydney Opera House in Australia, the Euro-Tunnel in Europe, the Tacoma Narrows Suspension Bridge in USA, Calcutta Metro in India, and Jamuna Multi-purpose Bridge in Bangladesh to name a few (Kharbanda & Pinto, 1996). These project implementations provide us stories of both success and failure, and lessons learned.